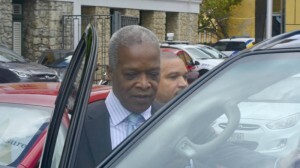 WILLEMSTAD - Today, the Court of Appeal has also fully acquitted the former president of the Central Bank of Curaçao and Sint Maarten, Emsley Tromp, from the intentionally incorrect filing of income tax returns. Unlike the Court of First Instance, the Court of Appeal is of the opinion that it has not been established beyond reasonable doubt that the income tax returns from 2006 to 2014 were incorrectly filed, as the Public Prosecution Service has charged. For this reason, the suspect must be acquitted. But even if it is assumed that the tax returns have been made incorrectly, it cannot be established beyond reasonable doubt that, as the accused is accused, it is due to his intention that these declarations have been made incorrectly. Reasoning for this is in short that these filings - in which the so-called reversal regulation was applied - were based on a pleasurable standpoint and that they were provided by a tax expert adviser on whom the suspect certainly had confidence in this extremely complex tax regulation. The Court therefore concludes that the evidence is inadequate to establish that the defendant was guilty of tax fraud.